I run the the Data Science & Machine Learning laboratory at Boston University. The lab is involved in projects related to Machine Learning, Vision & Learning, Structured Signal Processing, and Decision & Control. 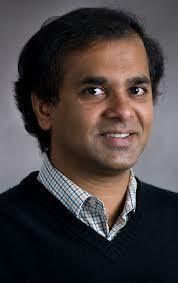 The laboratory is led by Prof. Venkatesh Saligrama. Another focus of my recent research is on developing concepts and tools for video analytics in highly cluttered and urban scenarios. This includes search and retrieval problems in large video datasets as well as algorithms for real-time anomaly detection.